We’ve fought off proposed tax hikes graduate students and the elimination of student loan deductions. We now face policies stripping protections under Title IX​, ​restricting international students, and the reauthorization of the Higher Education Act. In times like these, we want you to know that the NAGPS is fighting for you. 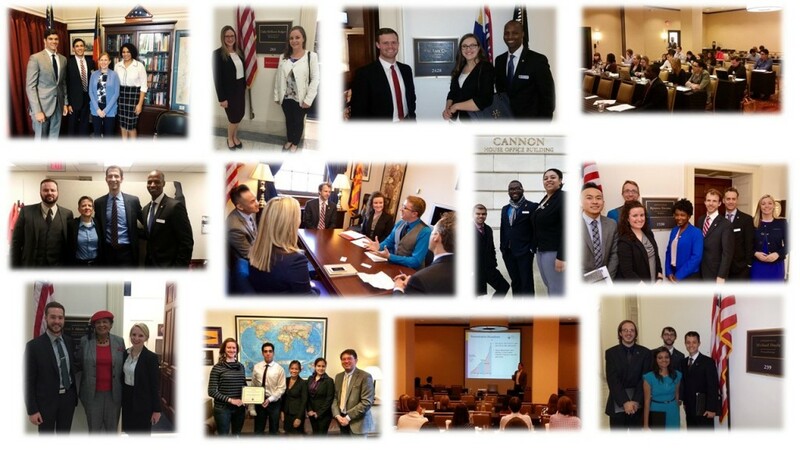 We invite you to take part in our Spring Advocacy Summit/Legislative Action Days in Washington to advocate on behalf of graduate students at your institutions. The Advocacy Summit is designed to prepare attendees for their meetings with their representatives on Capitol Hill. The two days of the Advocacy Summit will include informational sessions on policy ​initiatives, and best practices for conducting meetings with policymakers on issues in higher education policy. This year’s event will focus on Title IX, higher education funding, HEA, international student issues, open access, science policy, mental health and unionization. Graduate and professional students have a profound impact on the US economy. You contribute to bodies of research, teach classes, work in the field, research cures for diseases, and contribute to advancements in technology. Graduate students go on to become scientists, teachers, professors, public servants, social workers, healthcare providers, provide care for mental health, drug rehabilitation services, criminal justice, and business professionals.The contributions to society people with graduate degrees make is immense. People with these degrees are vital to providing the care, education, and services needed for future generations to prosper. Click the button to register for Spring LAD! This schedule is tentative and is subject to change. Click below to view live schedule.